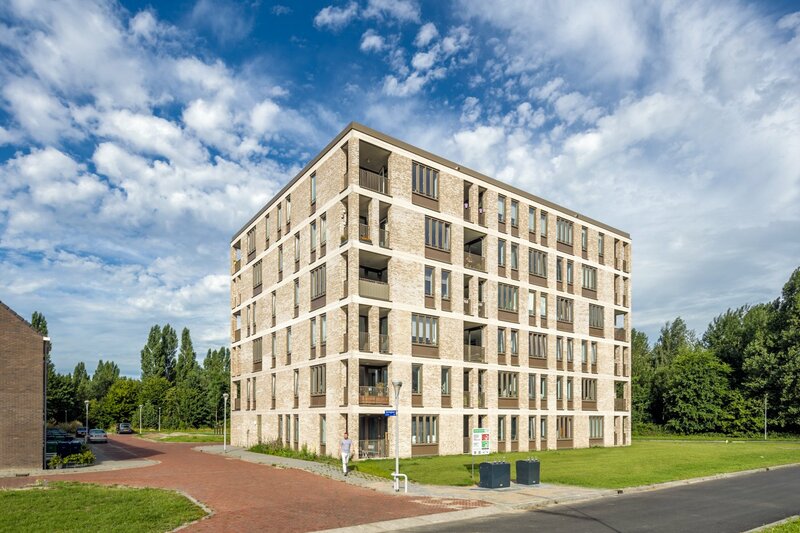 Since 2007, the municipality of Almere has been working on development plan De Laren to rebuild sports park De Wierden and surrounding green area by adding housing and other functions. 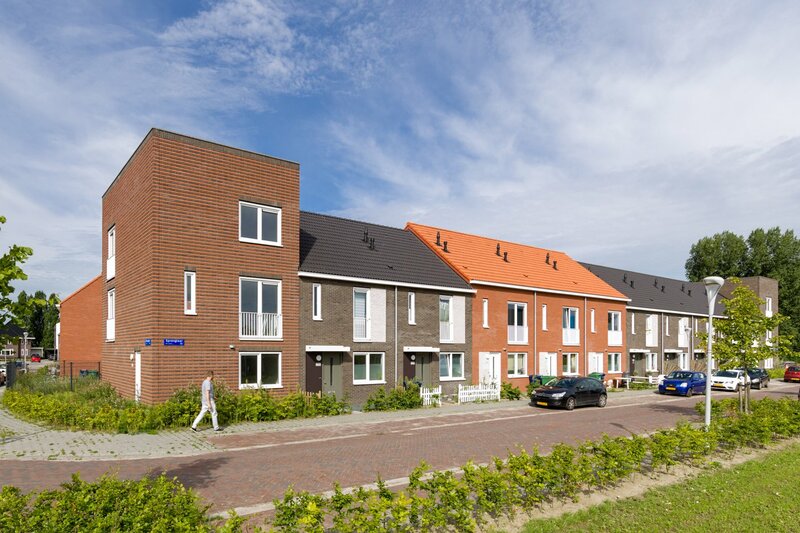 This makes it possible for Havenaren to go through a full housing trajectory in Almere Haven. 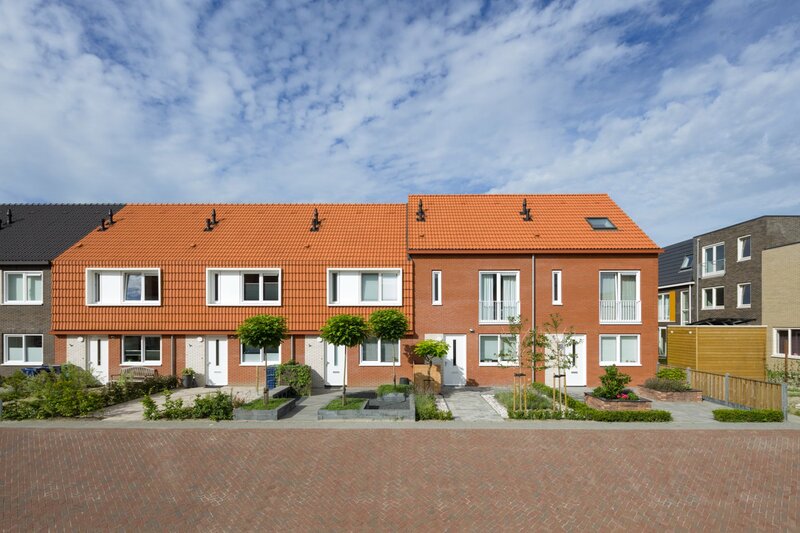 In the image quality plan for De Laren, different atmospheres have been identified for the different construction areas, which relate to the location and its landscape features. These atmospheres form the basis for the design of the construction and the outdoor area. 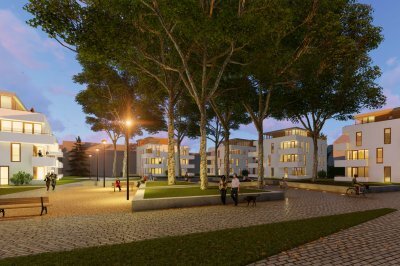 As part of the development plan, IAA Architects has been commissioned by Koopmans TBI to create a design for affordable housing. Divided over construction areas D and F, 102 residences have been developed: 20 owner-occupier residences and 82 social housing residences, 54 of them houses and 28 apartments. 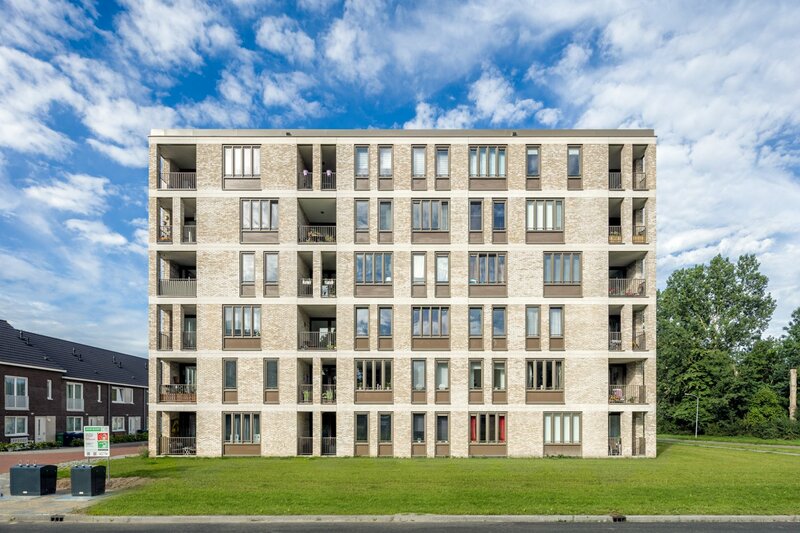 At the western side of De Laren, field D forms a small self-contained cluster in the greenery with two blocks of single-family residences and an apartment complex that forms a landmark for the district. Field F is located in the southern part of the plan area. 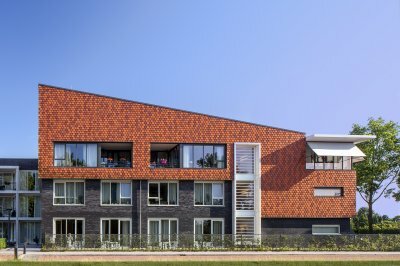 Part of the single-family residences form the outer edge, thereby marking the appearance in the direction of the sports park and the access to the district from De Wierden. Furthermore, there are two north-south oriented residential streets with an intimate and rural feel. The standard residence consists of two levels with a rooftop. On the ground floor, the living room with open kitchen is located as well as a storage space in the backyard, and on the first floor, three bedrooms are situated. There is space for an extra room in the attic. 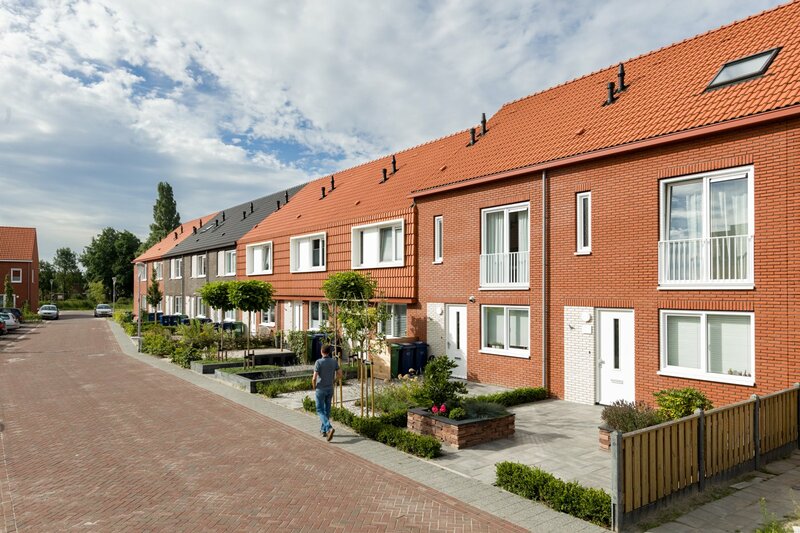 In order to realise the desired diversity in the streetscape within the limited budget, a variation has been made in the facades following the assumption that variety adds to the quality of living. 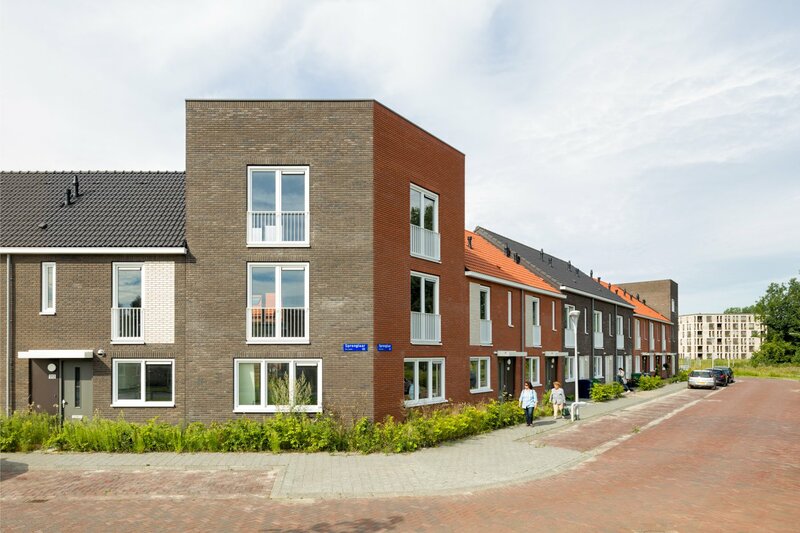 This concerns combinations of different gutter heights, facade formats and two different colours of bricks & roof tiles. 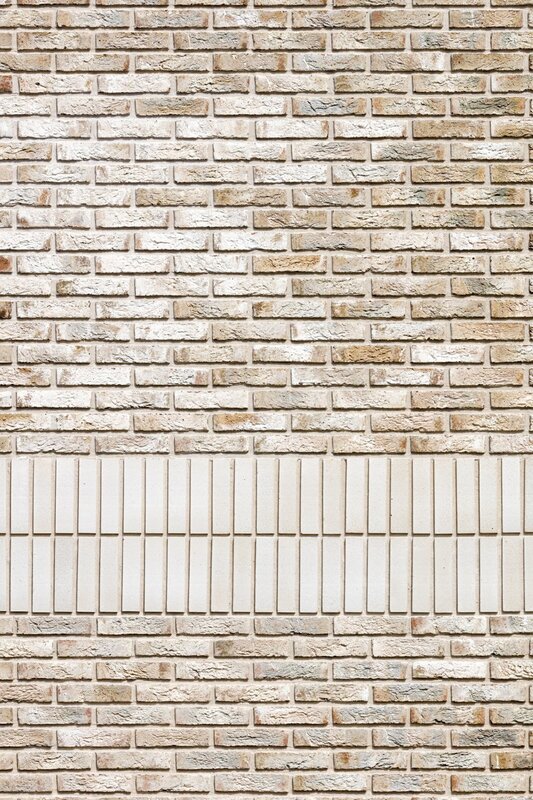 Thus, 12 different facade types are created, which at the same time still have a clear connection. Separate facades have been designed for the corner houses. 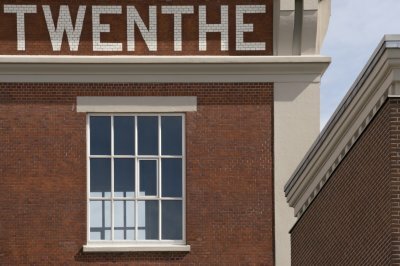 The 28 three-room apartments are designed as one big urban villa, which in its design forms a landmark in De Laren. From the ground floor, the entrance leads onto a hallway with an elevator, a staircase and three apartments. Both the inside and outside give access to storage spaces. 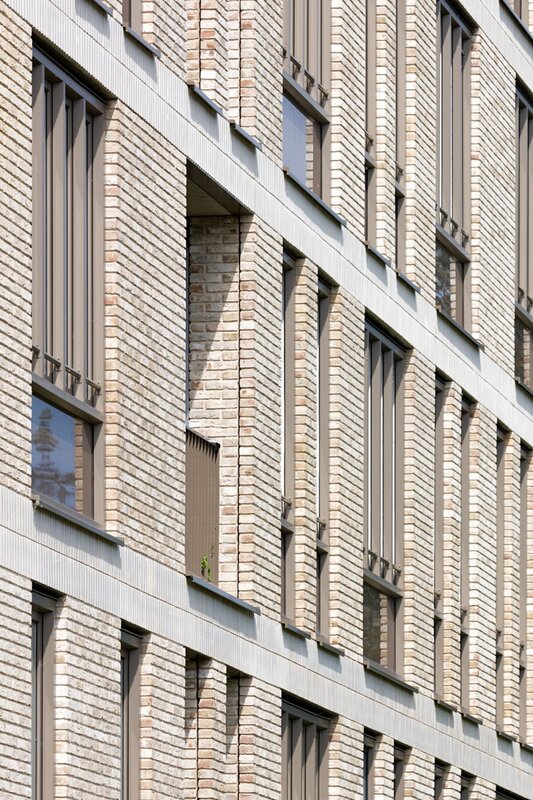 Five apartments are situated on each of the five upper levels.